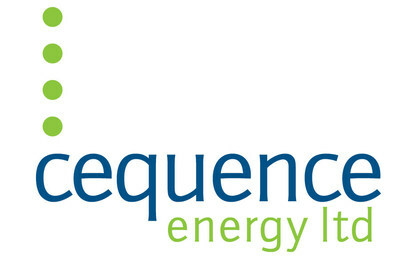 CALGARY, Oct. 25, 2018 /CNW/ – Cequence Energy Ltd. (TSX: CQE) (“Cequence” or the “Company“) is pleased to announce that it is proceeding with the consolidation of its common shares (“Common Shares“) as previously announced on September 13, 2018 at a consolidation ratio of twenty-to-one (20:1) (the “Share Consolidation“). On October 24, 2018 Cequence filed articles of amendment to effect the Share Consolidation, and Cequence has received approval from the Toronto Stock Exchange (the “TSX“) for the Common Shares to begin trading on the TSX on a post-consolidation basis on October 29, 2018. At a special meeting of the Company's shareholders held on October 22, 2018, the shareholders approved a special resolution to amend the Company's articles to consolidate the Common Shares on the basis of one post-consolidation Common Share for every twenty pre-consolidation Common Shares. More information about the Share Consolidation can be found in the Company's Notice of Meeting and Management Information Circular dated September 20, 2018, a copy of which is available on SEDAR under the Company's issuer profile, accessible at www.sedar.com. As of October 24, 2018, the Company had 491,055,766 Common Shares issued and outstanding. After the Share Consolidation the Company will have 24,552,788 Common Shares issued and outstanding. The new CUSIP number for the Common Shares is 15671G506 and the new ISIN number is CA15671G5068. A Letter of Transmittal with respect to the Share Consolidation was mailed on October 1, 2018 to the holders of Common Shares of record as of September 20, 2018. All registered shareholders with physical certificates in hand will be required to send their share certificates representing the pre-consolidated Common Shares along with a completed Letter of Transmittal to the Company's agent for the Share Consolidation, Computershare Investor Services Inc. (“Computershare“), in Toronto, Ontario, all in accordance with the instructions provided in the Letter of Transmittal. Additional copies of the Letter of Transmittal can be obtained through Computershare (by phone at 1 (800) 564-6253) or by email at corporateactions@computershare.com). A copy of the Letter of Transmittal is also available under the Company's issuer profile on SEDAR. All shareholders who submit a duly completed Letter of Transmittal along with their respective pre-consolidated share certificate(s) to Computershare will receive in return a new share certificate representing their post-consolidation Common Shares. Certain statements included in this press release constitute forward-looking statements or forward-looking information under applicable securities legislation. Such forward-looking statements or information are provided for the purpose of providing information about management's current expectations and plans relating to the future. Readers are cautioned that reliance on such information may not be appropriate for other purposes, such as making investment decisions. Forward-looking statements or information typically contain statements with words such as “anticipate”, “believe”, “expect”, “plan”, “intend”, “estimate”, “propose”, “project” or similar words suggesting future outcomes or statements regarding an outlook. Forward-looking statements or information in this press release include, but are not limited to the timing for the Common Shares to begin trading on the TSX on a post-consolidation basis and the delivery by Computershare of new share certificates to shareholders representing the consolidated Common Shares. Forward-looking statements or information are based on a number of factors and assumptions which have been used to develop such statements and information but which may prove to be incorrect. Although the Company believes that the expectations reflected in such forward-looking statements or information are reasonable, undue reliance should not be placed on forward-looking statements because the Company can give no assurance that such expectations will prove to be correct. In addition to other factors and assumptions which may be identified in this press release, assumptions have been made regarding, among other things, the timely receipt of TSX approval for the Share Consolidation, and any other required regulatory approvals. Readers are cautioned that the foregoing is not exhaustive of all factors and assumptions which have been used.